When we created the concept for Trinity Dental Care, we wanted to provide our patients with comfortable, convenient, comprehensive dental care. To us, that means combining the latest in technology and treatment options with the highly customized, personal care you deserve. 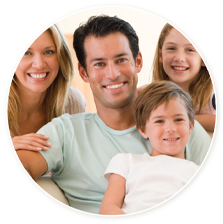 We welcome patients of all ages to our Westwood, NJ dental office and look forward to giving you and your family the very best dental care available. We take care of all of our patients’ general dentistry needs from quality preventive care to comfortable, aesthetic restorations. Preventive dentistry – The foundation of healthy teeth and gums begins with routine prevention. Regular dental exams, x-rays, and professional dental cleanings help us to keep your smile looking and feeling its best. Our hygienists are extremely gentle, yet thorough, and we use digital x-ray technology in order to diagnose decay and other conditions as early as possible. Restorative dentistry – Most patients will need some type of restoration during their lifetime. From a simple tooth-colored filling to a porcelain crown, our restorations are high quality, comfortable, and long lasting. We understand that your appearance is important to you! Feeling confident about your smile is a big part of that. We provide a full range of cosmetic dental services so that our patients can have the smile they have always wanted. Professional teeth whitening – We offer both in-office and take-home professional teeth whitening so our patients can achieve a whiter, brighter smile. Invisalign – Are you looking to straighten your teeth? We offer Invisalign "invisible braces," a convenient and discreet way to improve the alignment of your teeth. Veneers – For a dramatic result, porcelain veneers can correct the appearance of cosmetic flaws such as stained, broken, or misaligned teeth. Full smile makeovers – For those patients wanting to create a whole new look, we offer full smile makeovers. Full smile makeovers can correct even the most challenging smile, all while providing improved function and comfort. 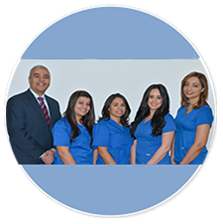 We offer services in our office that you will not find at a typical general dental office. Drs. Labib, Ibrahim, and Pozzi constantly seek additional training and education in order to provide you with the most comprehensive care available. We provide all high quality treatments in our Westwood, NJ dental office so that you don’t have to travel across town from appointment to appointment to get the dentistry you need. Root canals – We provide root canal therapy in our office without the need for a referral to a specialist. We are highly skilled and gentle when it comes to restoring your teeth and eliminating infection. Implant placement and restoration – Unlike most general dental offices, we are highly skilled and experienced when it comes to replacing missing teeth with dental implants. Extractions - Sometimes the best way to protect your health is by removing a damaged tooth. We perform comfortable extractions and provide tooth-replacement options to keep your smile healthy. If you start to feel anxious when you think about going to the dentist, sedation dentistry might be right for you. Sedation dentistry allows you to completely relax and let us take care of the rest. If you want a dental home where you can have the best dental care under one roof, contact us today to schedule your next appointment! We look forward to welcoming you to our office.